Increased knowledge on the adoption of open innovation (OI) in less developed countries (LDCs) is required as emerging markets in these countries evolve. 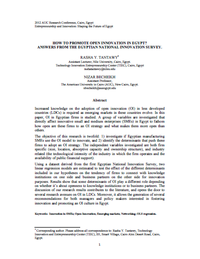 In this paper, OI in Egyptian firms is studied. A group of variables are investigated that directly affect innovative small and medium enterprises (SMEs) in Egypt to fathom how open are these firms to an OI strategy and what makes them more open than others. The objective of this research is twofold: 1) investigate if Egyptian manufacturing SMEs use the OI model to innovate, and 2) identify the determinants that push these firms to adopt an OI strategy. The independent variables investigated are both firm specific (size, location, absorptive capacity and ownership structure), and industry related (the technological intensity of the industry in which the firm operates and the availability of public financial support). All whitepapers are available to you and free of charge. 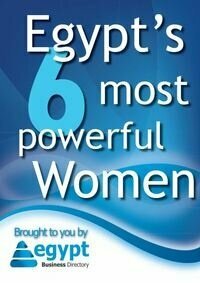 This whitepapers is provided by AUC - The American University In Cairo.